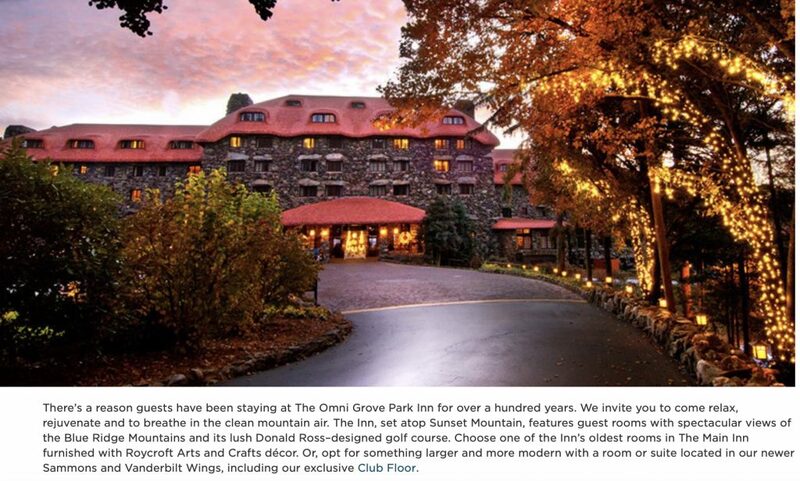 19 | February | 2019 | RicksBlog.com Home of "The Domain King®"
Historic Grove Park Inn Selected Host Hotel for 1st Annual Asheville Professional Domain Investors Meetup & Family Outing!! I just love when a plan comes together. I have envisioned a domain get together in Asheville for many years. Long before Asheville was a destination. Few ever heard of the place 15-20 years ago. Not an easy place to get to and back then very difficult. Today much easier and a few airlines fly non-stop right into the city. The Grove Park Inn is the epitome of Asheville. This 106-year-old property is the only place I ever considered holding such an event. I have dreamed about it for years. I guarantee you will fall in love with this place and Asheville at the same moment. But what makes Asheville so very special is how creative the town and the people are. When you see what they have created, and it's all "Home-grown" I think it will help us develop our own creations. This is my "Field of Dreams" and I hope to make it yours as well. The things that I am still taken aback with when I come to Asheville are George Washington Vanderbilt of the famous Vanderbilt family who built the largest privately owned home in the USA (you can tour the 175,000 sq. ft. home and the entire 8000-acre property) and the fact that Asheville has an incredibly large and cutting edge medical community. It's all homegrown and unique. Just like domaining. The Historic Grove Park Inn. Host Hotel for Rick's 1st Annual Asheville Professional Domain Investors Meet-up & Family Outing August 1st-3rd 2019. So, I am in the process of scheduling our Meet-up Starting the afternoon of Thursday, August 1st. Then followed by a "Working Luncheon" on Friday the 2nd. Friday night we will party in Asheville and Saturday we will end with a brunch and a fun-filled day of activities. That's the plan. It's not in stone. It's a framework until I know how many and how long folks want to stay. So you can help me take an initial head count of who would stay at the hotel and how many nights you would stay there. I am not out to make money on a get-together nor do I even want to touch the money. I want all payments made directly to the hotel. A truly self-funded event. So, if you are sick of the noise, sick of the slick, sick of swallowing crap for the benefit of others, then it's time to go back to the future when it all began. Let's start anew armed with over 20 years of new information and progress. Let's each walk away with one or more new projects. We are in the mountains, maybe my famous 18-wheeler story will make more sense there because it was in those mountains of Asheville where it takes place! 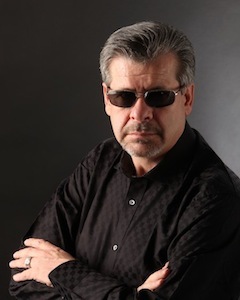 If you look at my history and look at the history of Domain Investors, you will see that since before 2000 and my original chat board, I have brought folks together. Most friends and relationships in domaining started on my chat boards or at T.R.A.F.F.I.C. Whatever some think of me, I have a history of changing lives for the better, and I'm not quite done. So now that you know more details, you can email me directly. My email addy is on the left side of the page. As you can see with my original announcement and comments that follow, qualified folks are coming! I have a simple goal inspired by George Washington Vanderbilt, Let's make history!